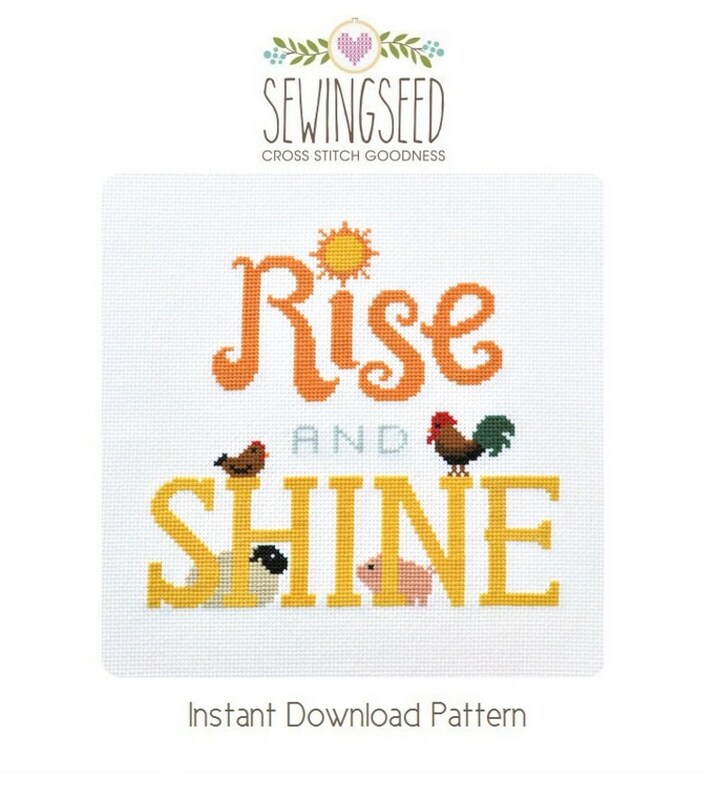 Available for instant download is one of my larger cross stitch patterns, a fun Rise and Shine design featuring an adorable group of farm animals. A cute rooster, chicken, sheep, and little piggy are here to help you start your day! For the farm animal lover in my family this is going to make the perfect Christmas gift. Pattern was large enough to read and printed well, directions were easy to follow with great suggestions. THANKS! Great design that looks wonderful on pattern cloth!